Overactive bladder is a syndrome characterized by the frequent, strong, and sudden urge to urinate. The syndrome can seriously disrupt your life by interrupting your work and make you avoid social situations. Acupuncture and Chinese medicine can help. Acupuncture and Chinese medicine has been treating syndromes of frequent urination for over 2000 years and recent research has shown acupuncture to be effective for overactive bladder (1). Acupuncture helps reduce the symptoms of overactive bladder by relaxing the nerves and muscles associated with the bladder. Overactive bladder may be caused from bladder spasm creating the sudden need to urinate or a sudden feeling of urination when the bladder is filling, although it is not totally full. Contraction of the pelvic floor muscles may also be a factor. Acupuncture helps to reset these functions to treat overactive bladder. 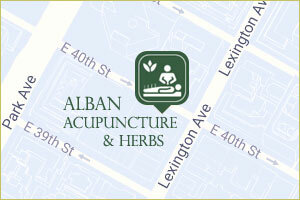 Acupuncture offers a holistic approach to health and wellness. Acupuncture seeks to understand the imbalance of the interactions between the organs, muscles, and tissues. Once the imbalance is corrected, the root of the problem is improved and body can work to heal itself. In acupuncture and Chinese medicine, overactive bladder falls within a syndrome of frequent urination. This can be caused by many factors such as an injury to the pelvic floor while giving birth, congenital issues, an injury, and factors in your life, such as stress, grief, and pain. The root of this imbalance can be in the kidneys, spleen, urinary bladder, or liver, and, more often than not, these imbalances are interconnected. In Chinese medicine, the kidneys are said to “govern water.” In other words, the kidneys are in charge of water metabolism and urination. Just like in western medicine, the kidneys filter out the urine. But unlike western medicine, kidney qi (or energy) also contributes to the ability to hold urine in the bladder. So problems with the kidney qi may cause overactive bladder. The functions of the kidney can be described in terms of yin and yang. Yin and yang are metaphors for describing different qualities. They can also be used to describe functions in the body. The ability for the bladder to sufficiently hold urine is a yin function. When there is too little kidney yin, the bladder cannot hold urine and may result in overactive bladder symptoms, such as the frequent and sudden need to urinate, which is called urge incontinence. Weak kidney yin can also cause stress incontinence, which is when urine leaks while laughing, coughing, or sneezing. Other symptoms of kidney yin deficiency are night sweats, hot flashes, a red face, thirst, frequent nighttime urination, a rapid pulse, and a red tongue. The spleen is also an important organ in overactive bladder. If the overactive bladder is accompanied by extreme fatigue especially in the morning, loose stools, poor digestion, and a pale swollen tongue, the imbalance may be in the spleen. Often, the spleen problem is combined with an imbalance in the liver. The liver is said to “govern the muscles and sinews,” which means the liver reflects the general health of the muscles in the body. Because the many different muscles are the key to having the ability to hold urination, imbalances in the liver can lead to overactive bladder. Another sign of liver involvement is when the condition is worsened by stress or anger. The acupuncture and Chinese herbal treatment are focused on correcting the root imbalance in the body. The treatment should increase one’s ability hold urination, decrease number of times one urinates at night, decrease urinary urgency, and create a smoother urine flow. Acupuncture points such as Ren 4 and 6 on the lower abdomen as well as Bladder 23 and Du 4 on the lower back all tonify the Kidney. Kidney 7 can be added to tonify the yang, while Kidney 2 will be used if there is more yin deficiency with heat. Other points, such as Ren 3 and Bladder 64 can directly tonify the Bladder and help with incontinence. If the spleen is involved, Spleen 3 and 9 will be helpful. If the liver is in disharmony, Liver 5, 3, or 2 can help move the qi and open the channels in the pelvic floor muscles. Chinese herbal medicine can also be effective for Overactive Bladder. When taking Chinese herbs, it is very important to get diagnosed and treated by a trained practitioner of Chinese medicine. Herbal formulas such as liu wei di huang tang can be used for kidney yin deficiency, while ba wei di huang tang is effective for yang deficiency. If the root imbalance is in the spleen, wu ling san or bu zhong yi qi tang should be used. Emmons SL, Otto L. Acupuncture for overactive bladder: a randomized controlled trial. Obstet Gynecol. 2005 Jul;106(1):138-43.